James F. Byrnes was born in Charleston, South Carolina, on May 2, 1882. (He falsified his year of birth in order to become a court reporter-stenographer in 1900. As a result, his birth year is often reported as 1879.) Although his formal education ended at age fourteen, Byrnes became a lawyer and had an influential role in the political careers of presidents Franklin Roosevelt, Harry Truman, Dwight Eisenhower, and Richard Nixon. Byrnes held an array of public offices and suffered electoral defeat only once, in 1924, for refusing endorsement by the Ku Klux Klan. 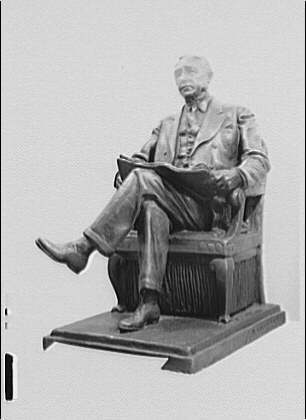 He represented South Carolina in the House (1911-25) and Senate (1931-41). In the Senate, he spearheaded much of his friend Franklin Roosevelt's (FDR) New Deal legislation. James Francis Byrnes (May 2, 1882 – April 9, 1972) was an American statesman from the state of South Carolina. 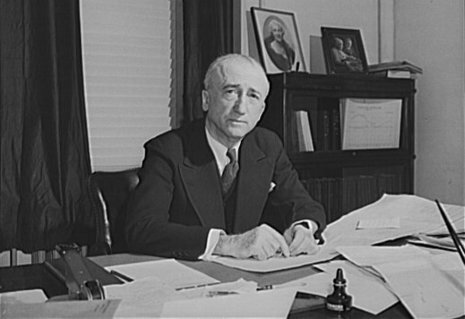 During his career, Byrnes served as a member of the House of Representatives (1911–1925), as a Senator (1931–1941), as Justice of the Supreme Court (1941–1942), as Secretary of State (1945–1947), and as Governor of South Carolina (1951–1955). He therefore became one of very few politicians to be active in all three branches of the federal government while also being active in state government. He was also a confidant of President Franklin D. Roosevelt, and was one of the most powerful men in American domestic and foreign policy in the mid-1940s.